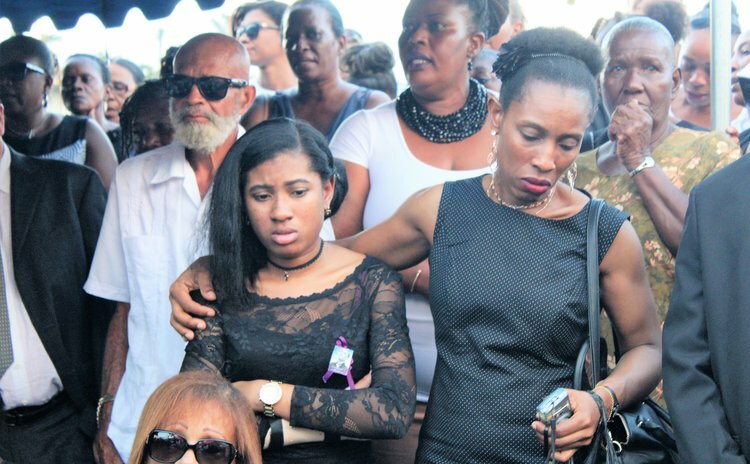 Hundreds turned out from across Dominica to bid farewell to Kurt Matthew, the Chief Engineer of DBS Radio who died on November 27, 2017 following a road traffic accident in Canefield. Matthew received wide acclaim for his efforts after Hurricane Maria on 18 September 2017 he ensured that DBS radio was back on air less than 24 hours, the island's only link to the outside world after the brutal and savage destruction cause by the hurricane. The Fatima Catholic Church at Newtown, where the funeral service was held on Friday 15 December 2017 was too small and chairs had to be arranged for the large number of mourners. Matthew was not only the chief engineer at DBS radio, but he was also assisted the Catholic Radio and Voice of Life radio stations. In his homily, Catholic priest Monsignor William Jno-Lewis praised Matthew's work stating that "he was held in high esteem." Jno-Lewis, flanked by Fr. Franklyn Cuffy and Deacon Alvin Knight, was the main celebrant at the funeral service. According to Fr. Jno Lewis, when he received the "shocking news via a text message from a member of his parish" he asked whether "it was the same Kurt who had done all that great work during and after the passage of Hurricane Maria." The answer was yes. "Kurt was young, talented…in the prime of his life, a generous man, now dead," Monsignor Jno-Lewis said. He said Matthew's death sent everyone a lesson. "The Master comes at an hour you don't expect…so be ready at all times. Be dressed for action, for death comes at any time when we don't expect," he said. "Death has no face- the rich, poor, famous, infamous, priest, lawyers, doctors, politicians, young and old be ready because no one escapes death it comes at any time," he added. "God is speaking to us in many different ways, through the death of Kurt and in other ways, we need to listen to him," Fr. Jno-Lewis said.